Update 4/24/14: Everything on this page will be obsolete when Warlords of Draenor launches. Hit and Expertise will be removed from the game and there will be a number of other changes to stats. … One thing that might be of help, especially to players like myself that play casually but still want to get good geared avatars would be a guide to the numbers and caps. Wowwiki has helped me a lot, but the notion of caps, how to know when they have been hit, how to reach them and how to avoid wasting enchantments and buffs unnecessarily would be great. I’m sure I’m not the only one with this gap in my knowledge. So What Are These Caps? 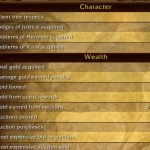 See below for the caps and stats table, updated for Mists of Pandaria. The easiest way to think of a cap is this: What point does it become ineffective to get more of a stat? 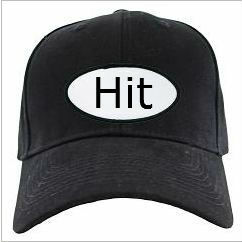 Take Hit rating, we’ll want to know what our Hit caps (not to be confused with Hip Cats ) are in order to be most efficient with our reforging, gemming, etc. Opponents that are higher level than you are harder to hit, those lower are easier. Raid bosses are considered to be level 93 so you need 7.5% to avoid missing with those weapons. In level 90 PvP opponents are all the same level, so your basic melee Hit is 3%. A soft cap is the point at which additional rating has lesser value, though still some. A hard cap is the point at which you get zero additional value from that stat. For example: A rogue’s Sinister Strike requires 7.5% Hit rating to never miss a raid boss (ignoring debuffs.) Additional Hit will still help with poisons and melee strikes (your “white damage,”) but has zero value for your Sinister Strike. This means that there is an 8% soft cap for your Hit rating. This means that you have a soft cap at 7.5 and 15%, and a hard cap at 27%. Spells (poisons) are a bit different. The base chance to hit an even level opponent is 94%, not 97, but the miss chance grows larger faster than for melee. For a level 93 raid boss the miss chance is 15%. This means that your Hit cap for spells is 15%. You get no value from Hit rating greater than that (unless you’re under some kind of debuff.) That means that there is a hard cap of 15% for your spells, you get no benefit from additional Hit. Your Hit rating effects your Melee, Ranged, and Spell hit. One stat fits all. It used to be that Spell Hit was a separate stat, but no longer. 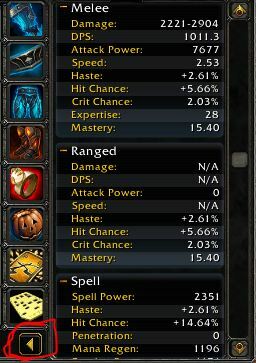 For a Prot Pally, the Melee Hit Cap is 7.5% and spell is 15% (for a raid boss.) Above those levels there is zero value to additional Hit. Anyone Dual Wielding (Fury Warrior, Frost DK, etc.) would still get some benefit from Hit up to 27%. It might not be their best stat at that point, but it would still be of some use. If this character was a Mage (or other caster) then an optimal Spell Hit would be that same 15%. Healers don’t need Hit to heal, but they do for interrupts and anything else they cast on the opposition. For level 90 PvP, since the opposition is even level, the Melee Hit cap is 3% and Spell Hit is 6%. The other stats work the same way. A soft cap is the point where you get less value from a stat and the hard cap is where you get no more value from that stat. The whole point of reaching the caps is, of course, to be as efficient as possible. If you have no wasted points then, everything else being equal, you’ll be more effective at what you do. The easiest way to reach any given cap is through your gear, but in most cases you’re going to have too much of one stat and not enough of another. This is one reason that Reforging was introduced. This allows you to move some of one stat into another. You can only change one stat per piece of gear. Generally you should reforge in order to tweak your stats, rather than Gem or Enchant. Your best stats are Hit (to 7.5%,) Expertise to 7,5%, and Haste. Crit, excess Hit, and Mastery aren’t so hot. Basically you’re moving weaker stats to better ones. Starting with the weakest stat on any piece of gear, reforge it to Hit. Do not exceed the 7.5% soft cap. Once you have the 7,5% Hit you will reforge to 7.5% expertise, then for Haste. By the time you’re looking at gemming and enchanting you will already have your talents figured out and should have already reforged your gear and you will probably be pretty good on your most important stats. Your gems and enchants are then gravy that provide extra effectiveness. This table is for Cataclysm and is a bit off for Mists of Pandaria numbers. Still, it should give you an idea of how these things work. The numbers on the class guide pages are all correct. Expertise Vs. Boss. ~120 for 1% Exp. 55 removes Boss Parry – Pretty much this is only for Tanks. Melee DPS should be attacking from behind, so only need 26. Expertise PvP ~120.1 for 1% Exp. 26 is a probably a good number to shoot for, even though players might well have much higher Dodge and Parry levels than Boss mobs. No plateaus. More Haste is always better. There is a soft cap of 50%. This is the point where 1.5 second global cooldowns hit 1 second and they can’t go below that number. However 50% is unreachable for most situations and gear levels. There are breakpoints where a certain amount of Haste is more effecient than a bit more or a bit less. These are typically at the point where your DoT does exactly one or two more ticks over it’s alloted time. A bit more Haste is then less valuable than the bit that gets you to a breakpoint. That bit more Haste is still valuable, though. Soft cap depends on various factors, including your Hit and Expertise. It’s at least 30% if you have your Hit soft cap. Basically, if your spec values Crit highly (eg: Sub Rogues) then get at least 30%, more if you can. No cap, but suffers from diminishing returns like Armor. Going from 4000 to 4100 rating counts for less reduction than going from 0 to 100. Some of these stats came from Wiki, others from ElitistJerks. Stats junkies will find all kinds of numbers on the EJ page.